Utopias reveal the essentials of perfect society. This short history offers easy entrance to classic works like Plato’s The Perfect State and Utopia by Thomas More. It also uncovers lesser known, wonderful books about nirvana’s, cities and islands. Short History of Utopia is an open invitation to have new thoughts on current and future societies. Should our food production be organized differently? What do we learn from imperfect cities? What is good and bad about machines? If you have always wanted to travel to utopian worlds, just read this book first. The book is present at the exhibition Ja Natuurlijk! in The Hague. There you will find an amazing solid, wooden copy, ready-to-continue-to-read, providing the utopian exit from the Plants Liberation Forest. The Plants Liberation Forest questions whether human beings are capable of moral growth in relation to nature and society. This message i received through email, from Renske Koornstra. She allowed me to publish it. Thanks Renske! It’s a great, critical analysis of what’s happening on a daily basis in many organizations. Pretty dystopian? Reading Ellie’s essay on Utopia’s, it struck me how I am in the middle of an interesting sociological experiment. So, considering Ellie’s 5 essentials on Utopia, I would like to add a nr 6: Language as vehicle of thought and perception. 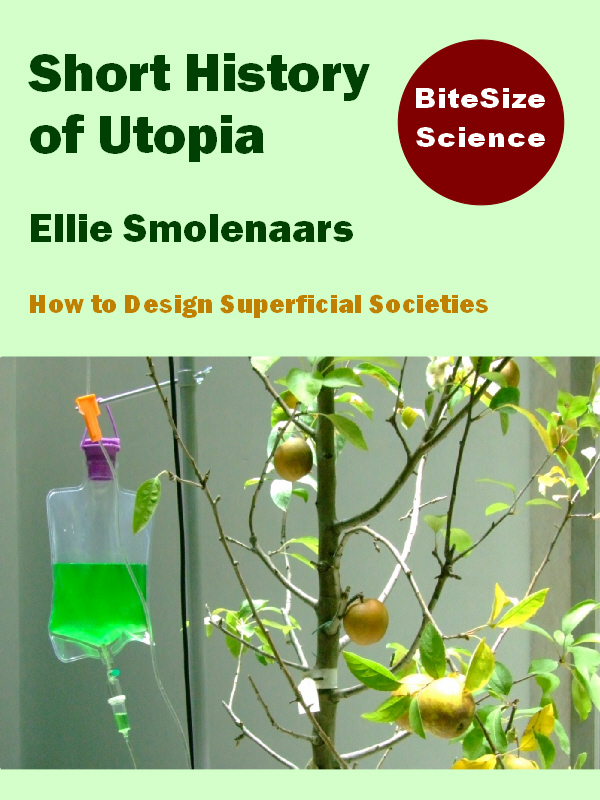 Ellie mentions 5 Utopian essentials in her book ‘Short History of Utopia’. code. (Convenient in communication with colleagues that speak foreign languages. Codes are international.) This gives a standardised meaning to every aspect of functioning. Important to 1. make health professionals communicate in the same language, 2. to share scientific data, and to 3.
organize information about health, functioning and participation. The aim is to make clear how a person can participate in desired tasks and participate in the community. (instead of the ‘old school’ idea, of being ‘handicapped’, and ‘not being able’ to participate, etc.) ICF is used worldwide in health care professional organizations. In the Netherlands more and more organizations introduce it. of the professional identity (the strong collective). Can we keep them both? Make ICF complementary to the own professional language as a mode to communicate with a larger group (for instance worldwide)? How large should a group of people be in this Utopia? Will the communication be mixed with other groups of professionals (holistic mix)? So, considering Ellie’s 5 essentials on Utopia, I would like to add a nr 6. 6. Language as vehicle of thought and perception. pointing in the same direction’ is a contra productive strategy for development.